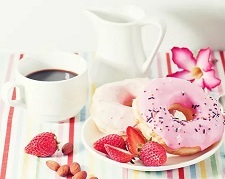 Welcome to the Main Street Monthly Connect! resources and more to your inbox the first Friday of every month. Thank you for being a part of the Main Street community! 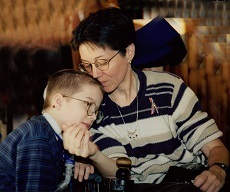 Eighteen years ago, Jeni's son, Mattie, reached across an ICU bed space to connect with a little boy named Nicol Copeland. Though Mattie has passed away, the family friendship he started that day - and the hope and peace that he inspired - remain strong. Read Jeni's incredible story here. 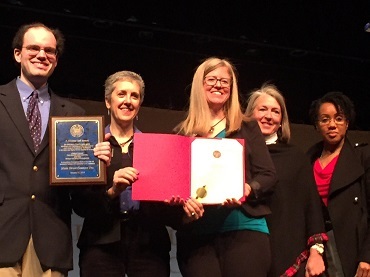 The City of Rockville's Human Rights Commission selected Main Street to receive the F. Michael Taff Award in recognition of exemplary efforts to attain the full inclusion of persons with disabilities in Rockville. Rockville Mayor Bridget Newton presented the award on January 21 at Rockville’s 47th annual Martin Luther King Jr. Day celebration. At the celebration, State Senator Cheryl Kagan also gave a citation to Main Street. Main Street staff member Julie Ryan-Silva and member Adam Hoffman accepted these honors on behalf of Jillian and Scott Copeland and the entire Main Street community. Special thanks to Marji Graf, President and CEO of Rockville's Chamber of Commerce, for nominating Main Street for the Taff award. Sheeting, shoring and digging is happening! 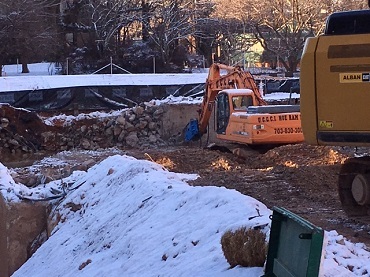 Even in these frigid temperatures, construction of the Main Street building is well underway at 50 Monroe Place. 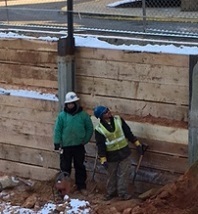 We are grateful to the construction team for braving the cold to make Main Street a reality. The building is on course to open in the first half of 2020. 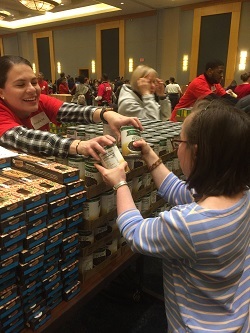 On January 21, Main Street members volunteered at Montgomery County's main service event for Martin Luther King Jr. Day held at the Bethesda North Marriott Conference Center. The strong spirit of volunteerism in Montgomery County was evident by the size of the crowd! Participants packed food boxes for seniors, crocheted blankets for those in need, assembled personal care kits for those at local shelters and much more. Thanks to all who joined and particularly to Main Street members Howard Hoffman and John Bogasky for helping to organize this event! To see more photos from this and other Main Street events, please visit Main Street's Past Events Gallery. 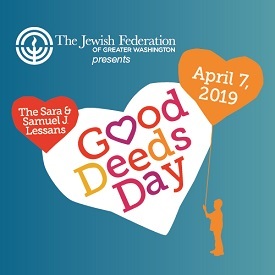 Main Street is partnering with the Jewish Federation of Greater Washington to participate in the annual Sara and Samuel J. Lessans Good Deeds Day on Sunday, April 7. Hundreds of thousands of people from around the globe give back to their communities on Good Deeds Day each year. Main Street is planning our own project involving clean up and maintenance of a local hiking trail. Save the date and watch our website for details! Visit the Main Street events webpage for information about all upcoming Main Street events. We Want Your Activity Ideas! What are your favorite activities? What would you like to see on Main Street's event calendar? We welcome the input of the Main Street community as we plan future events. 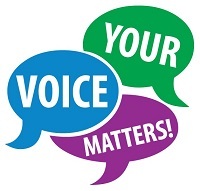 Share your preferences and ideas by completing this brief survey. Thank you! The Center for Communication and Learning (CCL) is an established speech-language private practice located in Rockville, MD. CCL offers a wide range of services that enable children to reach their full potential and become successful communicators at home, in school and in the community. 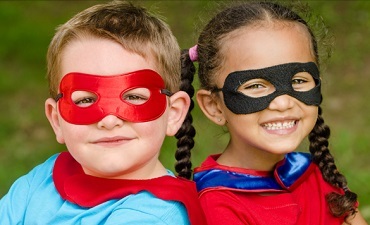 CCL provides services to children exhibiting communication and learning challenges including but not limited to Autism, ADHD, Social Communication Challenges, Executive Function Disorder, Articulation, Receptive and Expressive Language Delays and Auditory Processing Disorder. provide families with a toolbox for assisting their children to improve their social relationships. CCL also develops partnerships with providers in the community. 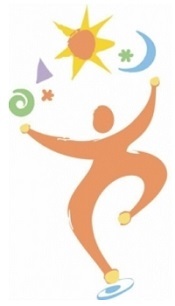 In its 12th year, the B Social Summer program in collaboration with Fitness For Health offers a unique therapeutic experience for children and adolescents integrating social thinking concepts and motor development. In partnership with Alliance Pediatrics, CCL offers PEERS® (Program for the Education and Enrichment of Relational Skills) to middle and high school students who would benefit from didactic social skills training. In addition, CCL's annual Innovators In Education Conference brings world-renowned speakers to share their expertise with professionals and families. Learn more about CCL at www.ccl-md.com or email info@ccl-md.com. CCL is a Main Street professional member. For details about professional membership and its benefits, see our webpage. 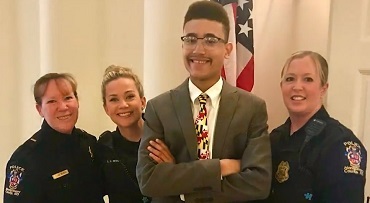 Those who attended Main Street's extraordinary luncheon last May will remember our honoree, Montgomery County Police Officer Laurie Reyes, and her teenage training partner, Jake Edwards, who has autism. Jake and Laurie's unique partnership and lifesaving work were recently featured on the program “Matter of Fact with Soledad O’Brien”. Watch their story here! 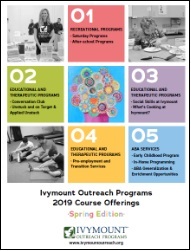 Ivymount Outreach spring offerings. Click here to see a catalog of their educational, recreational and therapeutic programs and services. Parents, professionals and students are invited to an info session about Project SEARCH, a unique one-year, school-to-work program that helps young adults with disabilities make successful transitions from school to a productive adult life. Learn more here. This free networking and educational event aims to help families preserve a bright financial future for their loved ones with disabilities. Topics will include estate and financial planning, special needs trusts, guardianship and other decision-making options, insurance, Medicare/Medicaid, Social Security and more. Main Street Founder Jillian Copeland will be a featured speaker! This event is sponsored by Shared Horizons, Michael Orleans of NFP and the Landsman Law Group. For more information, email events@shared-horizons.org or call (202)448-1460. Friendship Circle: Scheduled for June 17- June 27, this trip is designed for people with cognitive special needs, but also includes neuro-typical participants. No Limits: Scheduled for July 7- 17, this is a fully accessible program for people who use wheelchairs or for participants who have other mobility needs that prevent them from joining a classic program. For more info, contact Rica Eisen at Rica@routestravel.com. 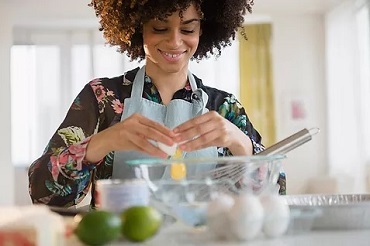 Main Street is an inclusive, community-centered residential development, the first of its kind in the Washington metropolitan area, where 25% of the apartments are designed and designated for adults with disabilities. Main Street will be built at 50 Monroe Place in Rockville Town Center and is on course to be completed in 2020. Main Street is a 501(c)(3) nonprofit organization. to stay updated on all Main Street news and events!